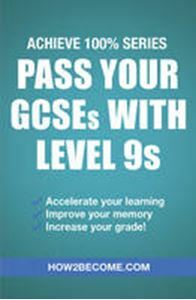 This book contains detailed tips and advice on the GCSE process, from creating a revision timetable, to coursework, all the way down to the final exams. Students can discover what kind of learner they are and what revision techniques work best for them. Written with students and parents in mind, this 'how to study' guide is essential for those wanting to enhance their revision and increase their GCSE levels. • Bonus advice for parents/carers to help maximise their child's potential.